You can barely turn around in the Pacific Northwest without falling over yet another craft beer festival. The West Coast of BC is a veritable hotbed of brewing – just look at the communities included in the BC Ale Trail if you need more proof. Coming into it’s 6th year the festival is bigger and better than ever – over 60 breweries and cider mills are on board for the tasting events. Each one usually brings at least two brews for a hopping good selection to work your way through. Luckily the tasting event is on over two days so you can work your way around at a leisurely pace. Insider Tip: Buy a General Admission Pass for Saturday and get free admission Sunday. 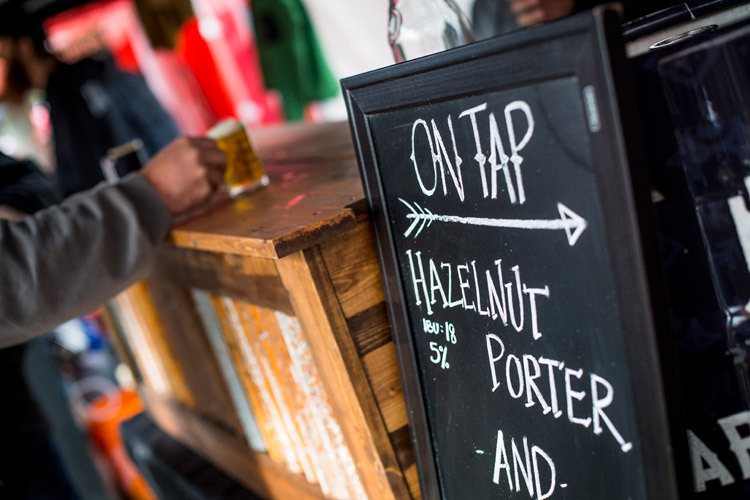 Unlike other beer fests this tasting event is held outdoors – no stuffy event hall or conference centre décor in sight. The grassy lawn of Whistler Olympic Plaza offers a delightful place to stroll and sip, and Whistler and Blackcomb mountains provide a magnificent backdrop. Add in live music and a new collaboration with Whistler artists to add artwork to the site and you have culture to go with your craft beer. Will rain wreck the party? Previous years’ experience have proved not, thanks to the shelter under the plaza building and some intelligent clothing choices. Insider Tip: Check the weather ahead of the fest, and pack appropriate beer-drinking outfits. The huge number of beers and ciders on offer (see #1) means it’s likely you’ll come across a brew you haven’t tasted before. Adventure is the spirit of the Fest, and the potential for pairing new beer with new activities is vast. 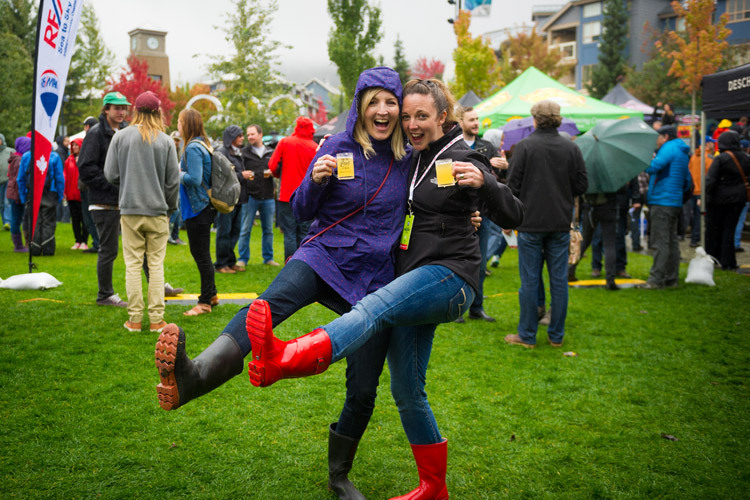 We’re thinking a PEAK 2 PEAK Gondola ride with a beer on a mountain patio, or adding a post-hike brew to your to-do list – there’s plenty going on in fall in Whistler so you can mix and match to your heart’s delight. Our new favourite pairing? Axe throwing, followed by beer and would you look at that, there’s a special collaboration happening between Coast Mountain Brewing, Whistler Brewing Co. and Forged Axe to kick off the fest. Oh, and there’s beer and yoga too. Not your average festival, indeed. 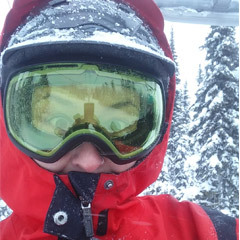 Insider Tip: It goes without saying that alcoholic beverages have the potential to impair judgement and coordination, so always ‘activity before you après’. There’s no need to draw straws to see who will stay sober for the festival – driving is not required. 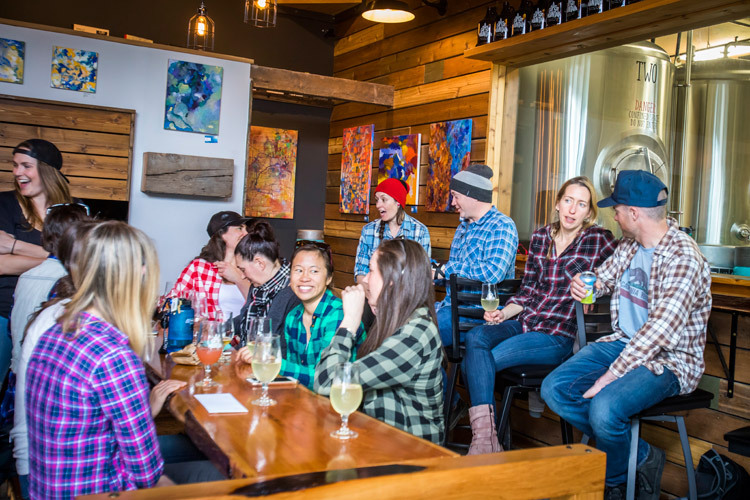 The tasting events are in the heart of Whistler Village, meaning you can walk to the location from your accommodation plus find a post event snack within easy wandering distance afterward (reservations are always a good idea). If you are staying further afield, there’s local transit to get you there and back for cheap, plus Whistler’s 24 hour taxi service kicking in if you decide to stay out and take in a little nightlife. We recommend staying in town so you can get out and see a bit of Whistler the next day (a brisk walk around Lost Lake is the ultimate hangover cure), but if you must depart early there’s a couple options that mean you don’t have to bring the car. 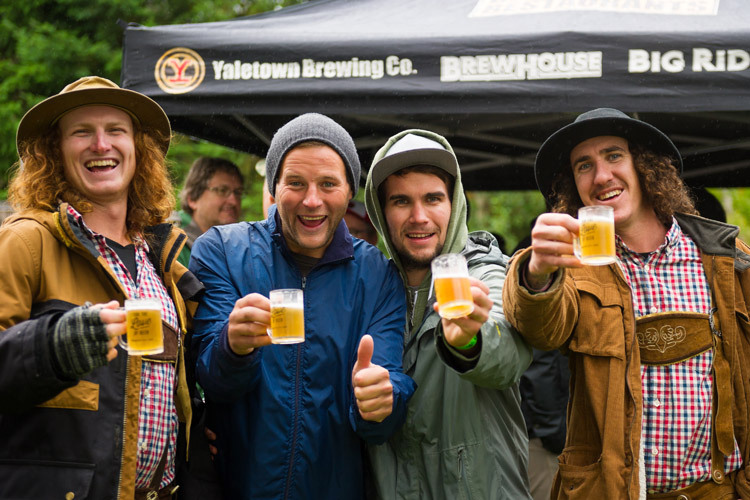 Check out this ride share program for the festival plus the new shuttle service from Squamish and Vancouver run by the event organizers and Canadian Craft Tours – and don’t forget there’s regular shuttle services between Vancouver, Vancouver Island and Whistler too. As if the tasting events weren’t enough to give you your craft beer fix, there are even more ways to take in new-to-you brews. Check out the full festival line-up for more events including the new signature event, Craft Cultures: Sea, Land, Sky for a swanky evening of mouthwatering bites, live music, beer and cider. The evening flows through the venue in stages, celebrating the themes of sky, land then sea, with décor and food offerings following suit. 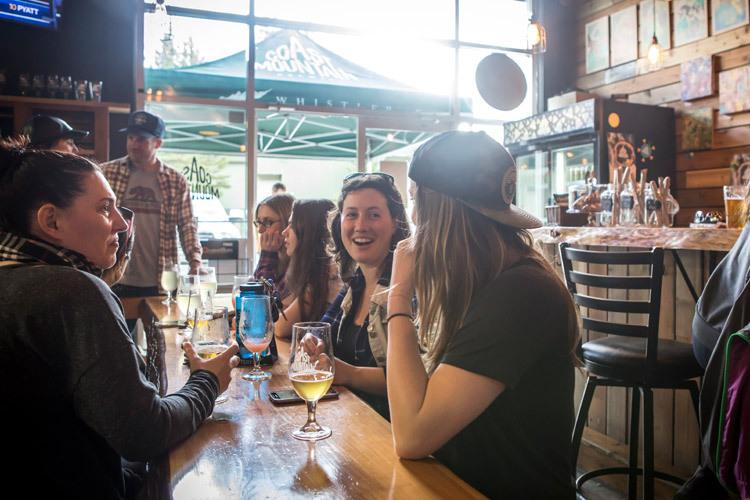 Outside the fest, check out Whistler’s pubs, three breweries and restaurants for a selection of craft beer from far and near. Late checkout? Pah. Go all in and stay an extra day so you can sleep in then engage in one of the finest dining traditions out there – brunch. A Caesar and a plate of eggs benny with Montreal smoked meat and you’ll be ready to take on the world and get active until après time rolls around again. Like a good beer, getaways should be savoured, not smashed in record time. Add an extra day to rest and recover after the fest and take in the beauty of Whistler in fall – hit up Whistler.com for all your travel needs. 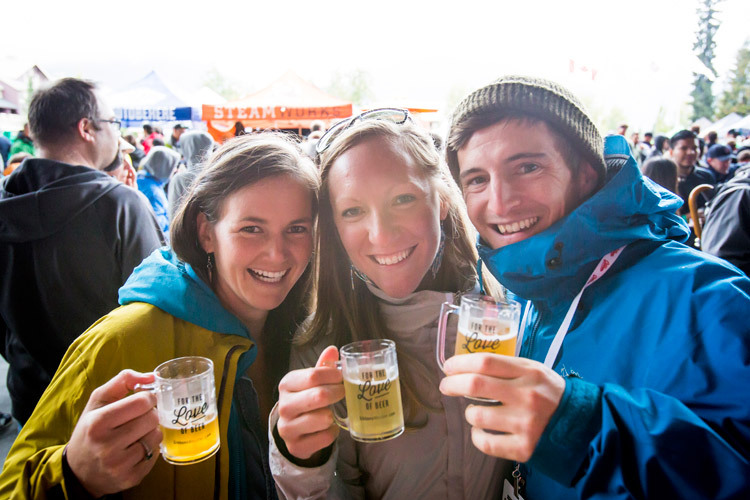 The Whistler Insider encourages guests to consume responsibly, so you can remember both the views and the brews.